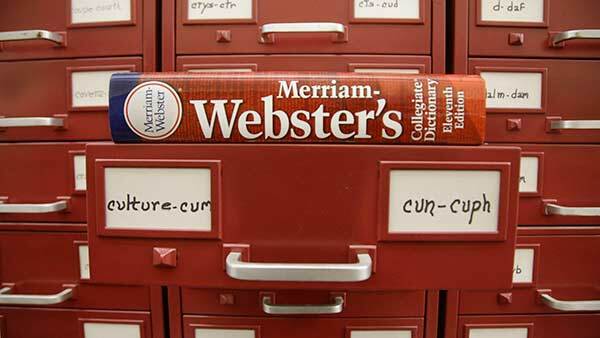 CHICAGO (WLS) -- The dictionary got a little bigger Tuesday when Merriam-Webster announced it added 1,700 new word entries and expanded 700 entries to include new senses. "Some of the new entries are for terms you've heard of and some likely aren't," the blog post from the editors said. New entries include words and terms from the natural world, food, the medical community and the Internet. Readers may be surprised to find that some of the new entries, like "colony collapse disorder," "colossal squid," "neural feedback," "vocal fry" and "macaron," had previously been excluded from the dictionary. Others, like "NSFW" (an abbreviation meaning "not safe for work" or "not suitable for work") and "dark money" ("money contributed to nonprofit organizations that is used to fund political campaigns without disclosure of donors' identities") are more recent additions to the American vocabulary. Emoji: (noun) any of various small images, symbols, or icons used in text fields in electronic communication (as in text messages, e-mail, and social media) to express the emotional attitude of the writer, convey information succinctly, communicate a message playfully without using words, etc.